Video courtesy of the NOAA Office of Ocean Exploration and Research. Download larger version (mp4, 78.5 MB). ROV Deep Discoverer approaches the unknown octopod at 4,290 meters depth. Image courtesy of the NOAA Office of Ocean Exploration and Research, Hohonu Moana 2016. Download larger version (421 KB). 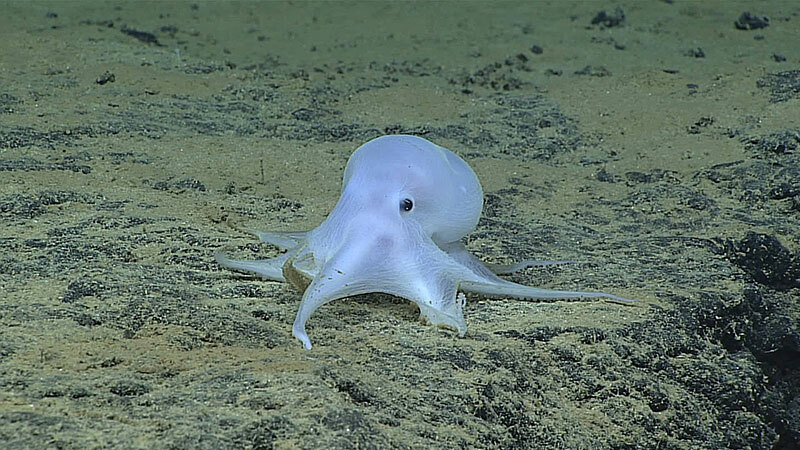 Deep-sea octopods are easily separated into two distinct groups: (1) the cirrate, or finned, octopods (also known as “dumbo” octopods), characterized by fins on the sides of their bodies and fingerlike cirri associated with the suckers on their arms and (2) incirrate octopods, which lack both fins and cirri and are similar in appearance to common shallow-water Octopus. 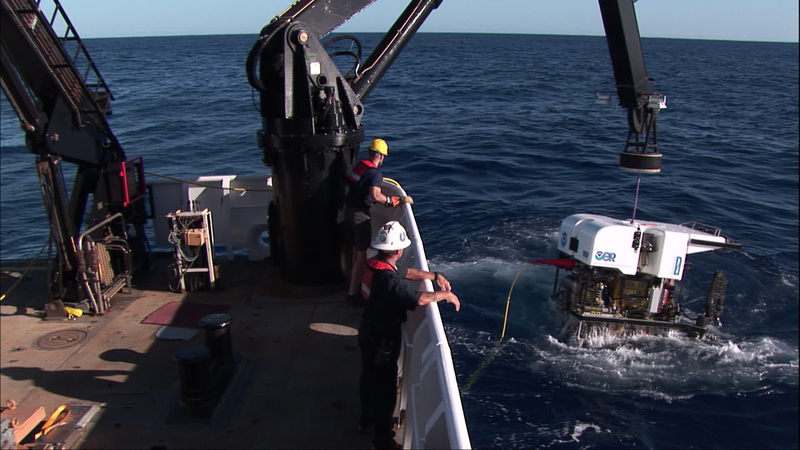 ROV Deep Discoverer is recovered after the first successful dive of the expedition. Image courtesy of the NOAA Office of Ocean Exploration and Research, Hohonu Moana 2016. Download larger version (389 KB). This ghostlike octopod is almost certainly an undescribed species and may not belong to any described genus. 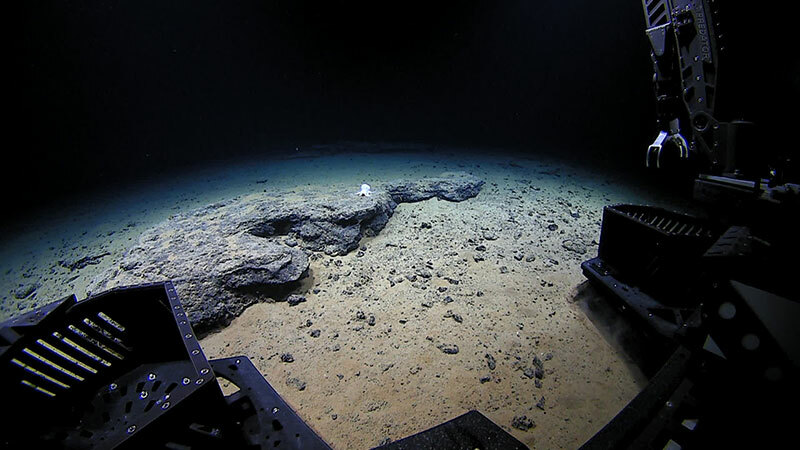 Image courtesy of the NOAA Office of Ocean Exploration and Research, Hohonu Moana 2016. Download larger version (906 KB).